Here at Proflight we are excited to announce our attendance at the Emergency Services Show again this year. The event is fixed in our calendar as a firm favourite! This year is particularly special to the team as it is the first year we will be exhibiting from a space only stand, meaning we will be bringing the biggest and best Proflight Stand to date! We will also be bringing along some of our bespoke solutions which our customers have very kindly allowed us to borrow for the show! 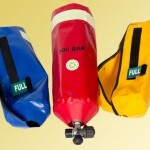 These will including: Derbyshire Fire Service Cylinder Covers and Nottinghamshire Services Medical and Cylinder Equipment. Proflight Hopes to See You There in 2 Weeks Time! 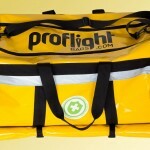 This entry was posted in Emergency Bags, Trade Show on September 5, 2014 by Proflight Bags.